Registration and Stamps Department owned by Government of Andhra Pradesh has Providing Encumbrance certificate (EC) Status online, Andhra Pradesh People Who Searching EC status online, they can View Encumbrance certificate ( EC ) online in AP at IGRS official Website http://registration.ap.gov.in/ , in this article we showing to How to Check Encumbrance Certificate ( EC ) Details online. The Encumbrance Certificate is used in property transactions as an evidence of free title/Ownership. At the time of selling your property or buying a new property you need to check the track of the property and verify the genuineness of your seller. Government registry enters all these details in the registrar of books. this is called encumbrance Certificate. Encumbrance certificate issued by the Registration & Stamps Department. Andhra pradesh " Registration & Stamps Department" give opportunity to get online Encumbrance certificate though IGRS Department portal .Now you can get an encumbrance certificate online now. in order to get EC you have need to perform the below steps. The Registration and Stamps Department is age old department functioning way back from the year 1864. The object of the department is to give publicity to the registered documents. Registration of a document is a notice to the public by way of definite recorded information to the world at large to enable public to verify the records and enquire therefrom the right, title and obligations if any on any immovable property. Further the department is acting as a "Royal record keeper", by preserving age old records and providing copies of the records held by it to provide as proof of genuineness in the Court of Law. 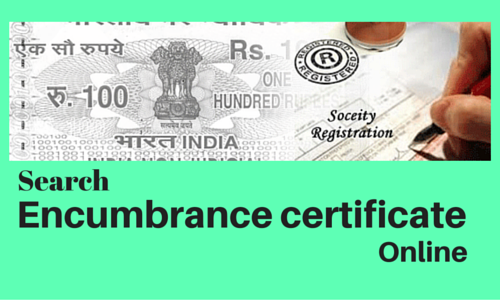 How to check Encumbrance certificate online ? Follow below Procedure for Download Encumbrance certificate details online. 1. Go to the http://igrs.ap.gov.in/ Website. 2. Click on "Encumbrance Search (EC) " Link placed on right side of website. 3. Now redirect New Encumbrance Statement Web page, Click on the "Submit" button in the bottom of web page. 4. You'll see "Search for encumbrance" Search Criteria , You'll Search " EC" details online through your Document Number / Memo Number / Nona , if your choice select optionin Search "Criteria". Select SRO ( Sub Register Office ) click on submit. it will than go to new page with the list of items that matched the search displayed. 6. Click on the Check box of the list of Encumbrance certificates that are needed and click on Submit. This will open a new pop up window with the Encumbrance certificate. you can then print this certificate. what are the timings to download ec.